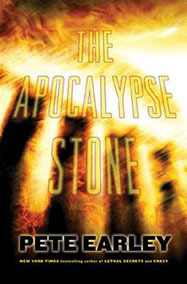 The Apocalypse Stone is actually my first novel, even though it was released by the publisher after The Big Secret (2004) and Lethal Secrets (2005). I wrote it before the Da Vinci Code was published and novels with a religious twist became popular. As strange as it may seem, I got the idea during a dream. Judge Evan Spencer seemingly has everything: a beautiful and extremely rich wife, social status, and prestige as a respected Virginia judge. But after he receives a smooth stone in the mail one day, his life begins to unravel.